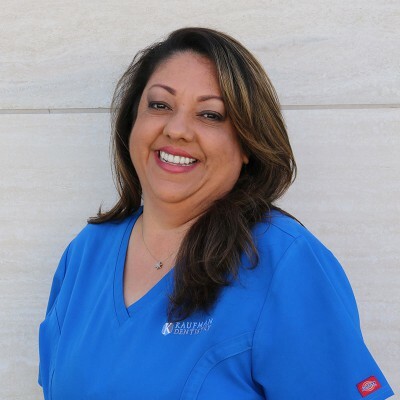 Maria has been with Kaufman Dentistry since 2000. Maria will be glad to help you with any insurance related issues as well as get you that perfect appointment that works with your schedule. Maria is very talented Baker, letting no occasion pass by without a homemade cake or pastry.